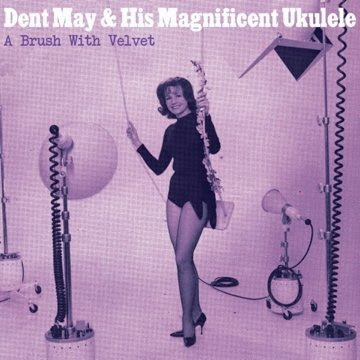 CATS PURRING: DENT MAY & HIS MAGNIFICENT UKULELE - "A BRUSH WITH VELVET"
DENT MAY & HIS MAGNIFICENT UKULELE - "A BRUSH WITH VELVET"
We're in the process of re-uploading our old releases as well as several new ones over the next few weeks. Here's our first ever release, Dent May's debut E.P. "A Brush With Velvet" from 2007 (whoa). *Some of these songs appear in re-recorded form on Dent's debut record, "The Good Feeling Music of Dent May & His Magnificent Ukulele" available now from PAW TRACKS. DEAD GAZE - "SMALL LAVA"
CATS PURRING SUMMER SERIES MIXTAPE!! !